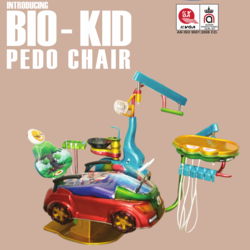 Prominent & Leading Manufacturer from Ahmedabad, we offer bio kid pedo dental chair, bio-deluxe electric dental chair, simple hydraulic dental chair units, bio-basic electric dental chair unit, bio-jet 20 baseless electric dental chair unit and bio baseless electric dental chair unit with over delivery. 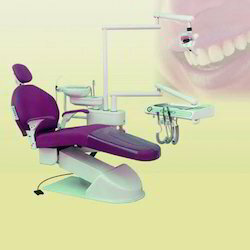 Electrically Operated Dental Chair Mount Unit with single Programable. Chair mount modular delivery 4point under hanging systems. Chair connecting with Airotor, micro motor and 3way syringe point with out hand pieces. Operating light with two intensity. High & Low pneumatic suction with Auto Drain System. Multi functionable foot control unit. Glass or Ceramic spittoon. (Easy to clean). Doctor working Zero back stool. 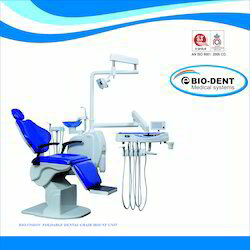 We are an eminent entity engaged in offering an extensive range of Bio-Deluxe Electric Dental Chair Unit. This dental chair has imported halogen light with two intensity. 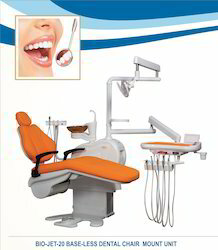 The offered dental chair is designed by our professionals using the quality material and technically advanced tools. 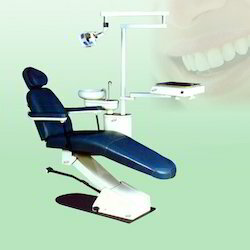 We offer this dental chair in various specifications in order to meet various requirements of our customers. Being a prominent firm, we are betrothed in providing our clients with a distinct assortment of Simple Hydraulic Dental Chair Units. 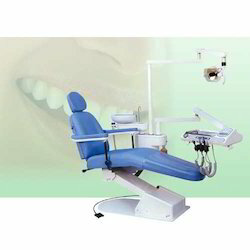 Offered dental chair unit is well checked on numerous stages by our quality experts for ensuring its flawlessness. This dental chair unit is manufactured from the high quality of material & leading techniques under the guidance of skilled professionals. 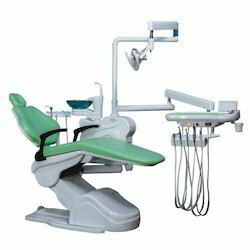 Customers can easily avail this dental chair unit from us at affordable price. Being a client-centric organization, we are engaged in offering a distinct collection of Bio-Basic Electric Dental Chair Unit. This dental chair unit is easy to use and their easily adjustable feature makes these chairs an appropriate thing for various dental work. 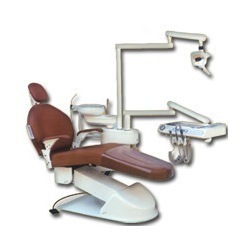 The offered dental chair unit is designed in accordance with set standards by our skilled professionals using basic material and advance techniques. We are giving this dental chair unit after inspected it precisely in order to guarantee its flawlessness. The policy made by the company makes us engaged in offering a quality assured range of Bio-Jet 20Baseless Electric Dental Chair Unit. This dental chair is featured with highly flexible for comfort of the patients. Our offered dental chair is inspected before supplying to customers in order to make certain its faultlessness. We are giving this dental chair in customized options as per the market preferences. Free space to work with as it is baseless. With desire to cement our reputation in the market, we are engaged in manufacturing and supplying Bio Baseless Electric Dental Chair Unit with Over Delivery. 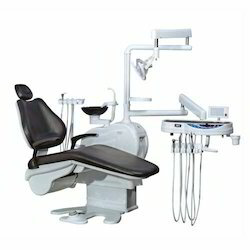 This dental chair unit is acknowledged in the market for its excellent finish. The offered dental chair unit is designed by our professionals using the quality material and technically advanced tools. We offer this dental chair unit in various specifications in order to meet various requirements of our customers. We have emerged as the foremost manufacturer and supplier of an excellent quality. Bio Vision Foldable Dental Chair Mount Unit. Offered dental chair unit is designed at our premises utilizing quality approved material and contemporary tools in accordance with set industrial terms. 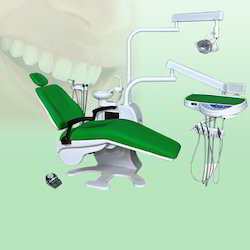 Our offered dental chair unit is used in hospitals, nursing home and various dental clinics. This dental chair unit can be customized as per the need of patrons. By utilizing our years of experience, we bring forth a qualitative array of 12. Baseless Electric Dental Chair Units. Offered dental chair unit is designed at our premises utilizing quality approved material and contemporary tools in accordance with set industrial terms. Our offered dental chair unit is demanded in hospitals for performing inspection and monitor body system during diagnosis. This dental chair unit can be customized as per the need of patrons. Keeping in mind the diverse requirements of our clients, we put forward a broad array of Bio-Hydraulic Dental Chair Unit that have built in X-ray film viewer. Offered dental chair is designed at our premises utilizing quality approved material and contemporary tools in accordance with set industrial terms. Our offered dental chair consists of halogen light with imported glass reflector, tumbler & spittoon. 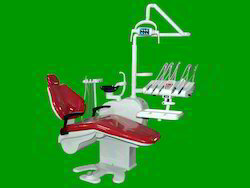 This dental chair can be customized as per the need of patrons. Over the years, we have been engaged in offering an exclusive collection of Bio-Basic Electric Dental Chair. This automatic chair consists of halogen light with imported glass reflector, auto water systems for spittoon & tumbler. The offered automatic chair is designed in accordance with set standards by our skilled professionals using basic material and advance techniques. We are giving this automatic chair after complete check in order to make certain its faultlessness.